We continue the legacy of Henriette Delille by addressing the present day needs of the poor, sick and elderly through education, healthcare services, pastoral care, prison ministry, and promoting social justice. 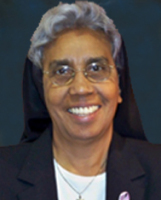 In our ministries, our Sisters serve as administrators, teachers, pastoral personnel, housing managers, librarians, and catechists. We minister in schools in New Orleans, Baton Rouge, Lafayette, and Alexandria, Louisiana, at Lafon Nursing Facility, which is the oldest continually operating nursing home in the United States. We manage two Apartment complexes for low-income senior citizens: Delille Inn and St. John Berchmans Manor. 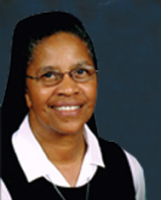 Sr. Veronica Ruth Lambey conducts retreats and provides religious instruction and pastoral care in a center in Selma, Alabama. 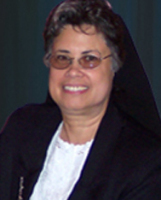 Sr. Jean Martinez ministers to the sick and elderly at Chateau de Notre Dame in New Orleans, Louisiana. 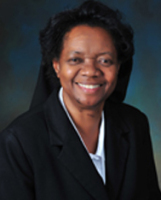 Sr. Rita Darenbourg serves as Assistant Pastor in Ville Platte, Louisiana. 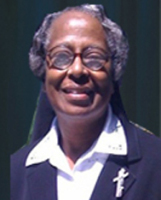 Sr. Theresa Sue Joseph is involved in prison ministry in Louisiana.